Two modern-day clowns take to the stage. This can not be good news. Brilliant, tender, hilarious and ingenious, inspired by Chaplin, Keaton and the stars of silent films, Baccalà’s timeless performance of enthralling physicality and exquisite expression has been delighting audiences the world over since 2010. Inventive, exciting, ridiculous, this breathtaking pas de deux of mishaps and acrobatics will have you laughing long after you leave the theatre. Winner of 15 international prizes, including the Cirque Du Soleil prize, you’ve never seen anything like it. Do not miss. 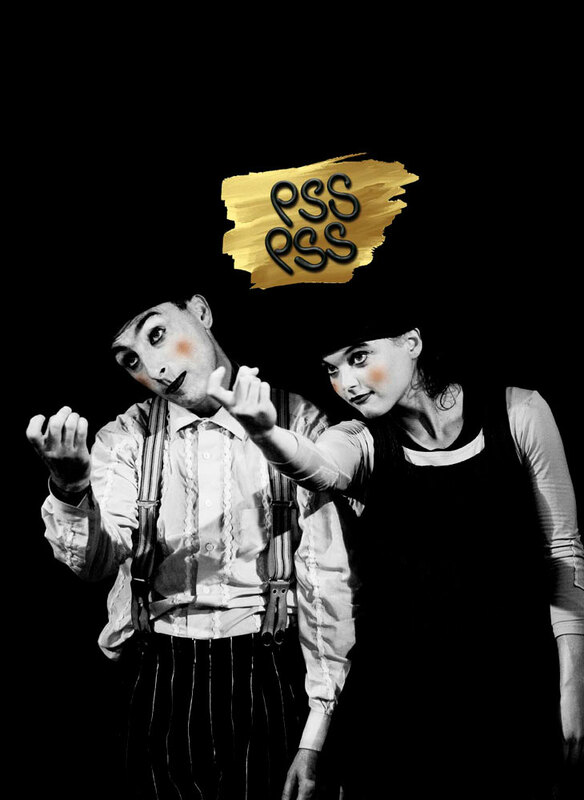 Pss Pss has been performed over 600 times, in over 50 countries, and on all 5 continents, to huge acclaim. An hour of happiness. Don’t miss it! Pss Pss is suitable for all from 9 years old. Louis Spagna lives in Belgium and is a director, musician, accordion builder, teacher, actor and clown. He has a degree in Roman philology and was part of Cirque du Soleil’s first ever tour in 1984. Since 1995 he has been writing and directing contemporary circus, creating many shows for a variety of international companies (including Argonauts, OkidOk and Compagnia Baccalà). Simplicity and good taste have always been at the heart of his works.